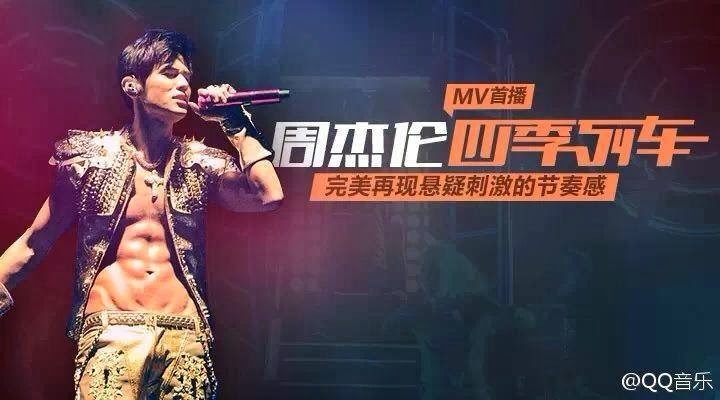 Jay Chou Diaoness: DIAOness Updates: Jaymobile, MV, Mr J Prank and Huang Junlang/Jayannah! DIAOness Updates: Jaymobile, MV, Mr J Prank and Huang Junlang/Jayannah! 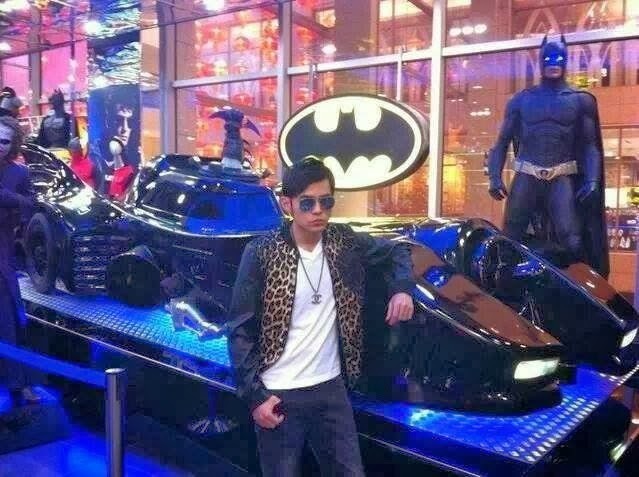 Remember Jay posing with the replica Batmobile in KL a few days ago?? Well, he managed to persuade the store owner to sell it to him! I wonder where he will display it....anyone would like to make a guess? I just love this pic of him so I shall post it again. And yes, I have hereby christened the car, The Jaymobile! 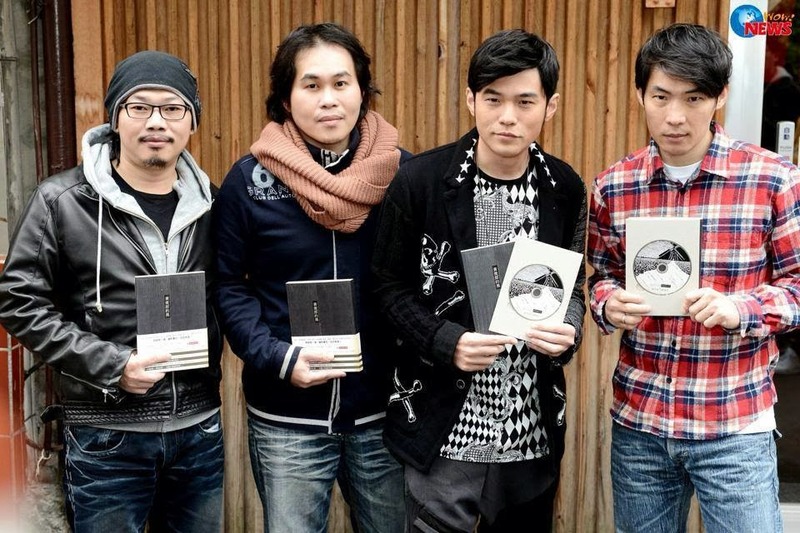 JVR released the MV for Train of Four Seasons on 9 January! It being the last song from OPUS 12 to have an MV, I think most fans were just happy to have a vid, even if it was a compilation of OPUS JAY moments. Jay had previously mentioned that he definitely wanted to make an MV for ALL the songs, including this one but it's obvious that time and budget constraints dictated otherwise. Anyway, I feel that considering the fact that he has already done SO MUCH work on all the other eleven songs, this was understandable and it was really nice seeing all those OPUS JAY performances in the MV. It brought back great memories of his concert for many fans and whetted the appetites of those who had not gone for one yet and were hoping to. Heh....see that package below and who it's addressed to? Well, the young lady in the post office did a double take when I handed it to her as her eyes lit up with recognition when she saw the name. 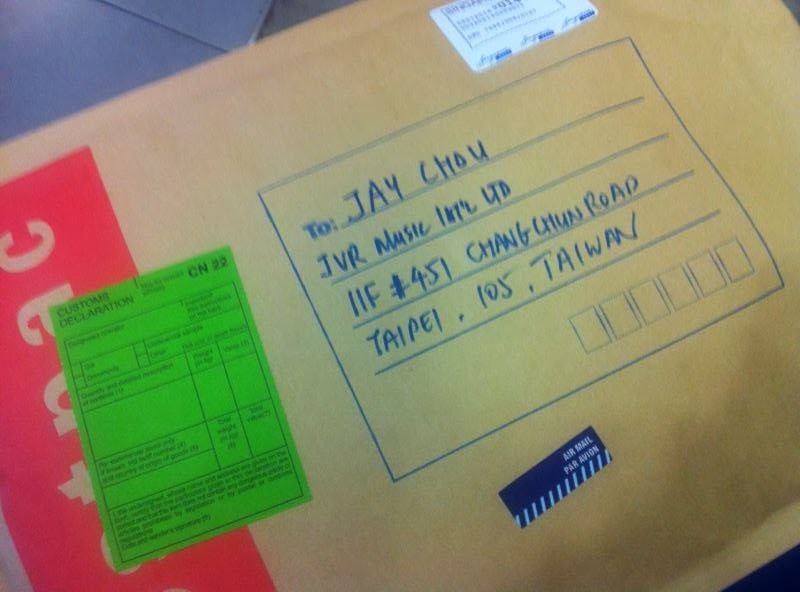 I have to confess that I did not think of sending Jay a birthday present until a few days into the new year. But that's another story and before I knew it, my friend Irene and I had put together a few things which we felt were meaningful for him and decided to send them off with a wing and a prayer. Of course he may never even get to see what we got him but I shall choose to remain optimistic and will not lose heart even if I have no idea at all about him receiving it. I did send an email to JVR, though. Remember Mr J Life and the series of Punk'd-like pranks which Jay played on his friends and recorded for posterity? Well, Episode 8 was released last night and in this one, it was Xuegao (aka Ice Cream), Jay's other main choreographer who had to 'suffer' Mr Chou's cheeky antics. There was a request for some translations. 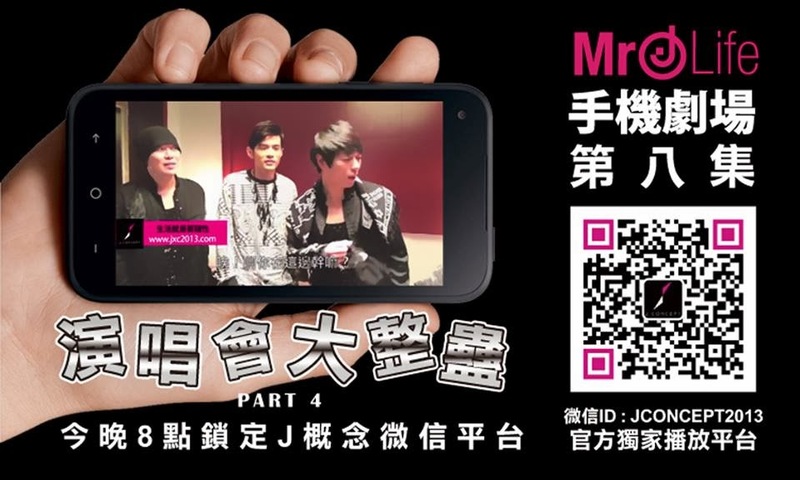 Essentially, at the beginning of the clip, XG 'announces' that Dao Xiang is an inspirational song and Jay concurs. Little does XG know what is in store for him! He has to dance alone, all the while wondering what the **** is going on. He keeps turning his head to look backstage but of course, no one joins him. The subtitle at 0:49 say: He has fallen totally into Jay's 'trap'....lol! It's really funny 'cos there are usually no backup dancers when Jay sings this song! X: "This is the first time I'm taking off my shirt to show you that this is the most I have perspired for any performance! Previously, after two songs, I still did not sweat that much. But today, I am drenched in perspiration because I ended up doing an extra dance." Jay then bestows a scarf on him as a 'prize'. J: He looked back about 8 times. It was all I could do to keep from laughing when I started singing. X: Jay was very cool. I was afraid he would turn around and ask me what I was doing! J: The funniest thing was that before the song, he was talking so much about it. X: That's because Jay always says those words before this song! J: (asks X): Is this song very difficult to dance solo to? J (stifling his laughter): When you watch the clip again, take note that all his moves were the same throughout the whole song! It turns out there were about three phones filming him....lol! This was a successful prank! Here's the vid of Jay and Xuegao from the audience....poor Xuegao! But he was a real trouper and I salute him! 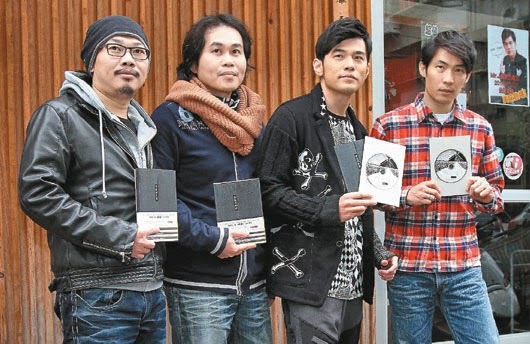 Huang Junlang's new book was launched yesterday and Jay, Vincent and Gary were in attendance. But THE information which sent me over the moon from that event had to be Jay's matter-of-fact replies to reporters' questions about his love life, admitting that he had seen in the New Year with Hannah and that his plans to get married were well in place. I was also glad to note that he was not disheartened about the non-success of The Rooftop in Asia. He does not let stuff like that get to him and if anything, it only makes him more determined to do something more and make it work. No wonder he looked so happy too....love this pic! Hope you guys enjoyed all the updates. It's one more week to Jay's birthday. Have you prepared your birthday greetings for him yet? Dificil para mi dejarle un saludo al sr Jay,con que el supiera q al otro lado del mundo tambien disfrutamos su musica seria increible.Feliz Cumpleaños para el y muchos saludos para ti.Pamela desde Chile. 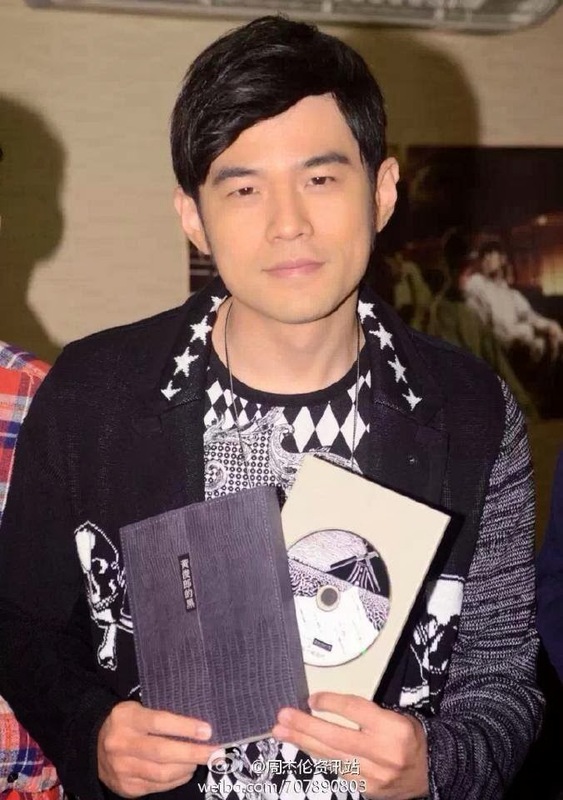 If you are, do Like my Jay Chou Diaoness Page (the badge is at the top right-hand corner of this blog). Click on it and you can follow loads of realtime postings about Jay.